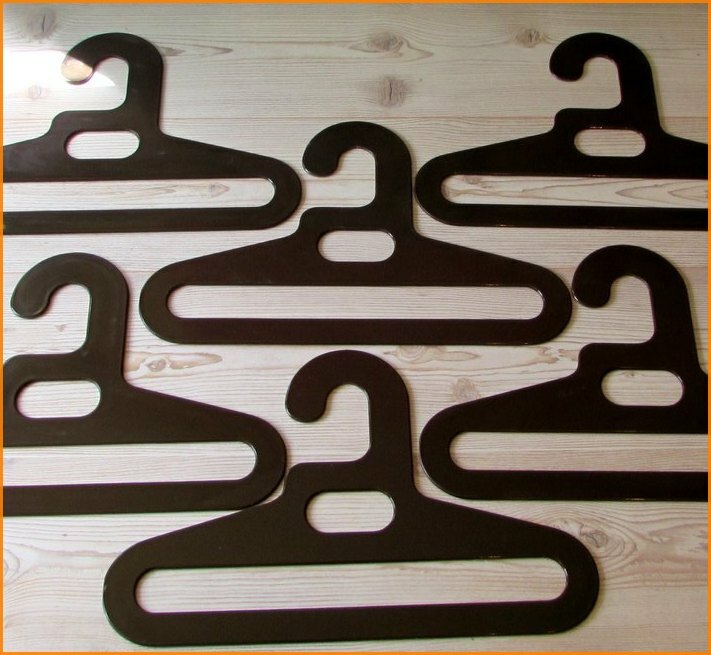 This set of 6 vintage clothes hangers from the 1970’s is very much a reminder of space age design of that time, and a great way to hang your vintage clothes in style, be it at home or in your shop! 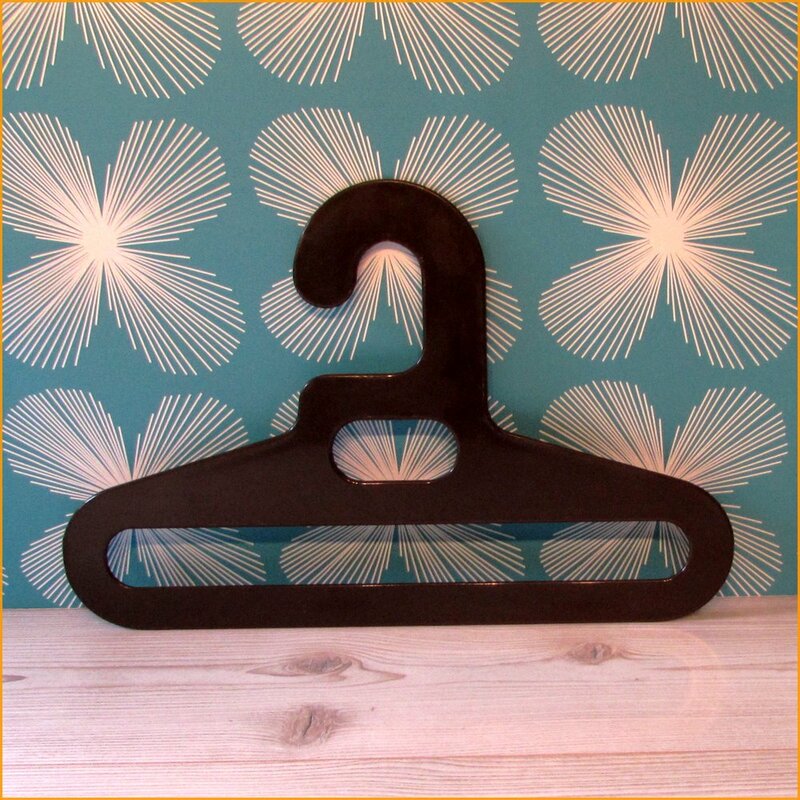 Made from hard plastic in a solid brown colour, these large hangers have been designed with a clever extra opening in the middle, which could hold a belt, tie or scarf. No vintage wardrobe should be without them! 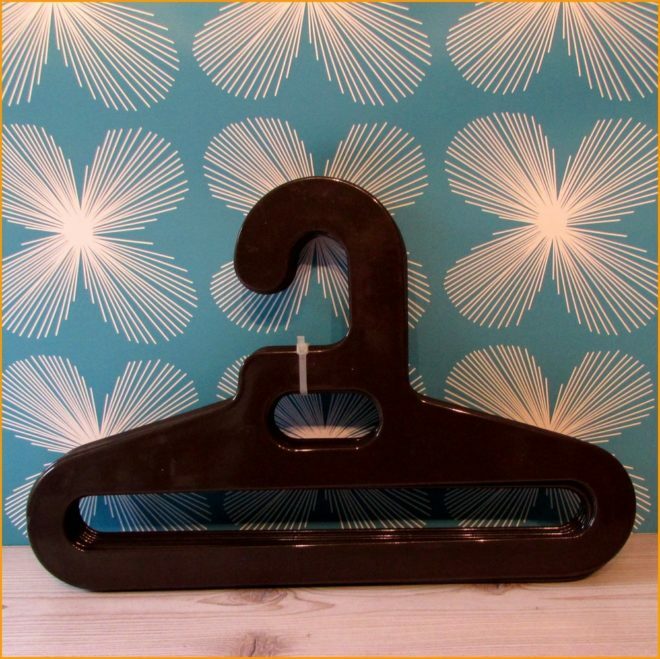 Condition: They are in good condition, with normal wear consisting of scuffs and scratches to the plastic.